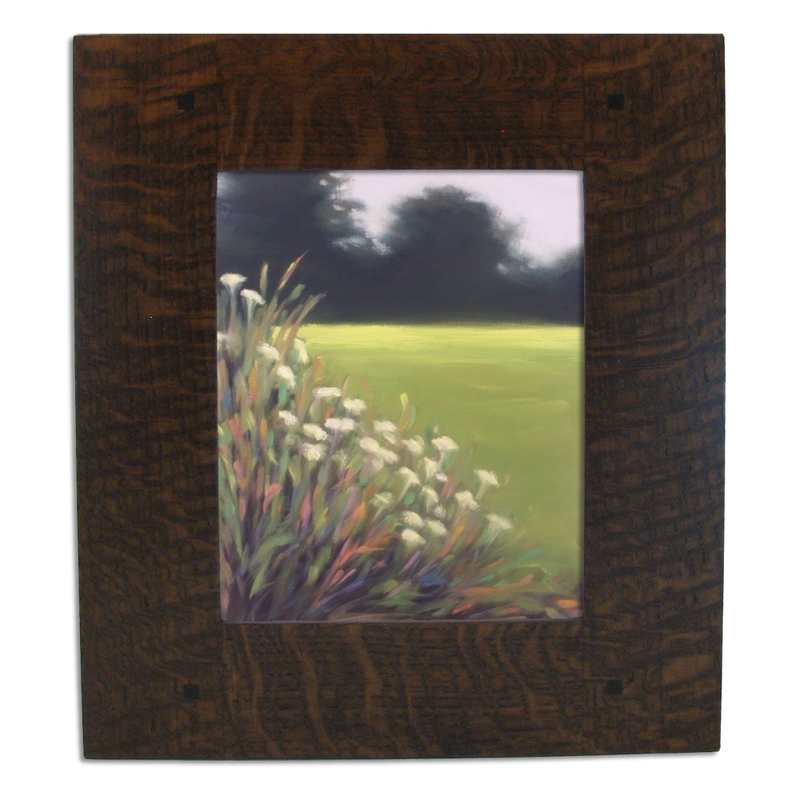 Select a standard sized frame or for a custom sized frame larger than 8x10 select Custom Size. Will this frame(s) sit on a mantle, desk, or other flat surface? A flat wood wedge that slips into a keyhole on the back to allow the frame to lean on can be provided. Describe what you'll be framing. Please enter the thickness of your stretched canvas. A traditional Gabled Top Bungalow wood frame for your home or office. Most commonly used for a mirror but will work well with artwork and posters. 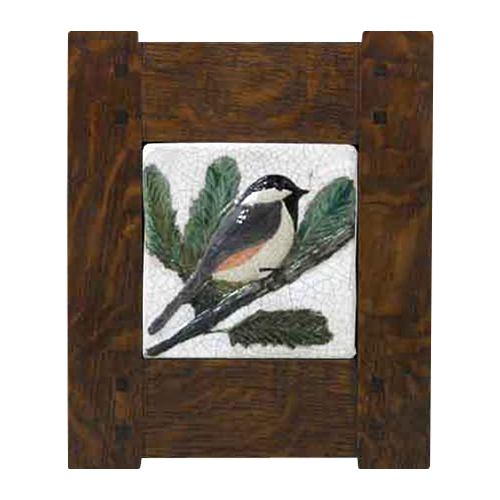 Because the corners are assembled using genuine mortise and tenon joinery, gives this frame attributes to the Arts and Crafts era. With Corners then secured with your choice of square or round pegs giving it that Arts and Crafts appeal. The gabled top Bungalow frame shown above, constructed of quarter sawn oak, (other woods are available) the top rail measures 3 inches, and the bottom rail 2.25 inches wide finished in Mission Red. The side stiles measure 1.5 inches wide. 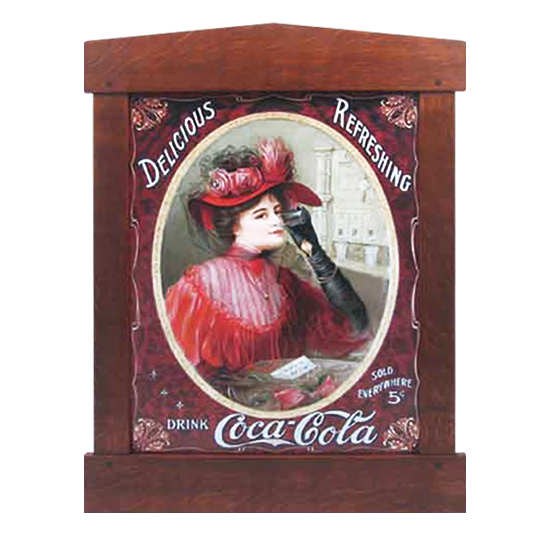 The frame displayed is wrapped nicely around a reproduced vintage tin sign for viewing purposes only not as part of the price. NOTE: Top and bottom rail sizes increase one (1) inch on the 18×24 and 24×36 inch frames along with custom frames within these two sizes. Pricing is for a frame only, photo and matte not included. Available in several sizes and includes mounting hardware to hold the contents in place. In most cases backboard included as needed. Glass available for common-sized frames, 5×7, 8×10, 11×14, and 16×20. For special needs or requirements regarding this frame, please contact me. All frames can be custom made to fit your content needing framed. This frame will ship approximately 4 to 5 weeks on smaller frames. 5-8 weeks for larger or multiple frame orders.